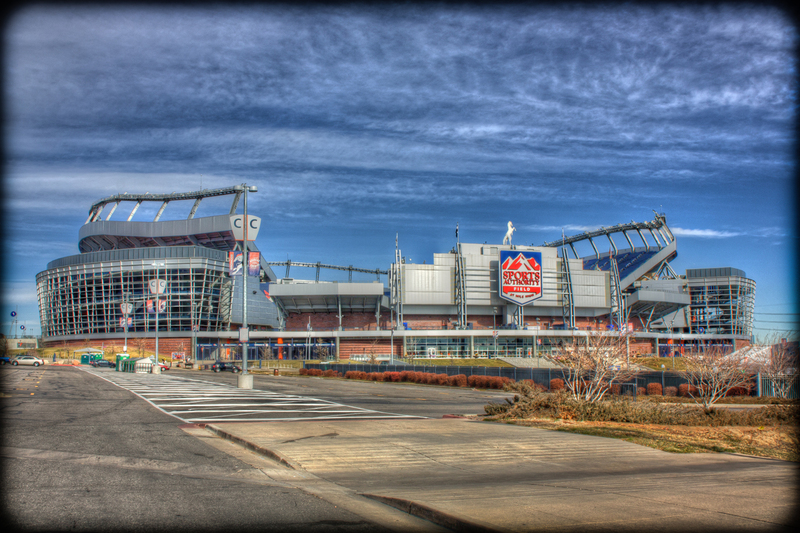 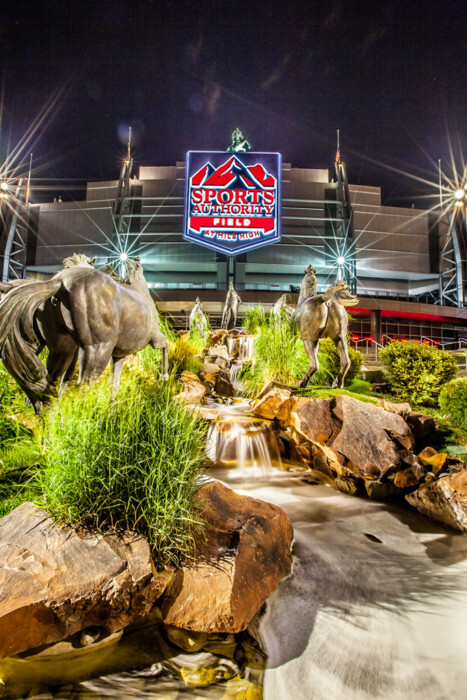 Home of the Denver Broncos, Sports Authority Field at Mile High is a beautiful piece of architecture that has beckoned my photographic efforts. Let me just say now for clarity, being a native of western Pennsylvania I am a devout Steelers fan, so the attraction is more about the conquest of photographing such a whale of a building rather than a love of her sports team. 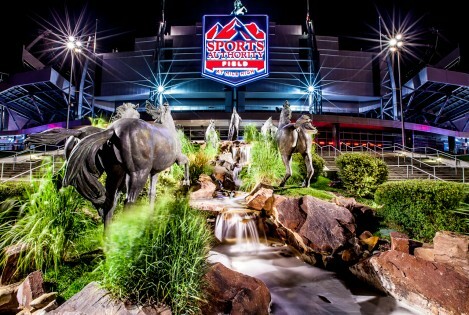 One specific thing that caught my eye was the wild bronco sculptures and their display in front of the main south entrance. 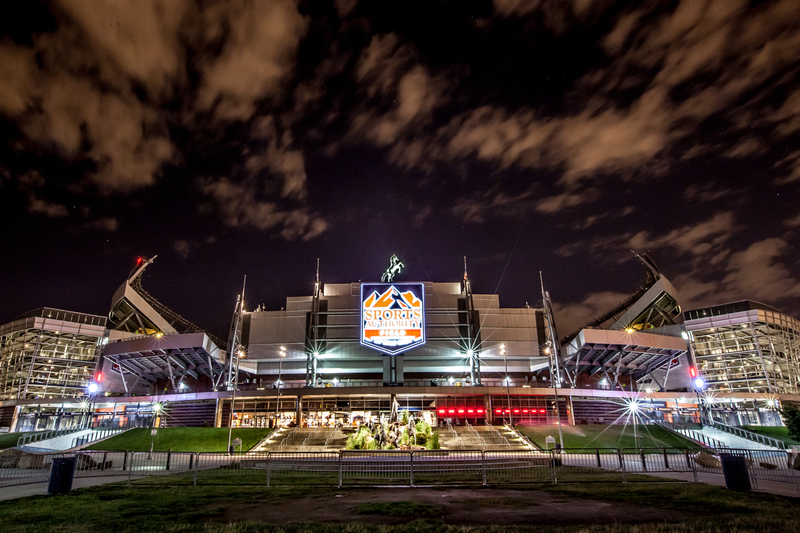 Much like the entire building, these have been photographed tons of times so my approach needed to be original to be relevant….so I as you can see all these images were shot in the middle of the night where I could maximize my exposures. Just another sleepless night trying to bring to you the vision in my minds eye….